Annoyed over the case of its arrested national Raymond Davis, the United States has once again resumed drone strikes in the tribal belt of Pakistan. 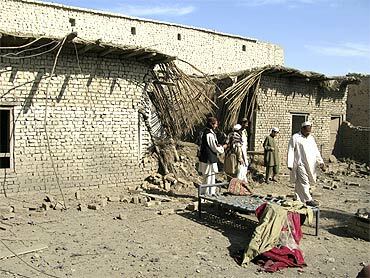 Late on Saturday night, the American spy aircraft fired three missiles at a 'militant hideout' in Azam Warsak area in South Waziristan, resulting in the killing of six people. Be it a coincidence or deliberate US policy, but no single drone attack took place since January 27 when Raymond Davis killed two Pakistani citizens in Lahore. The last drone attacks were reported on January 23 in North Waziristan when 13 people were killed in three different drone strikes. 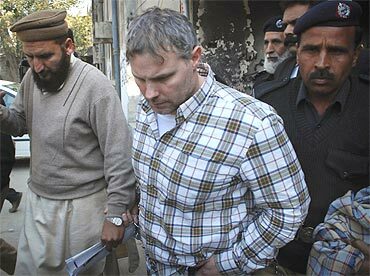 Pakistani authorities have charged Raymond Davis with murder, while the Americans are insisting on terming him as an administrative and technical official serving in the Lahore consulate entitled to diplomatic immunity. Last week, US President Barack Obama called Davis a 'diplomat' and sent Senator John Kerry to ensure his release; but Kerry had to return to the US empty-handed. Since the Davis incident, there was not a single drone attack reported from the tribal areas of Pakistan. 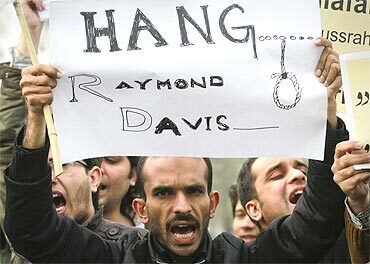 The fresh attack has come ahead of March 14, when a Pakistani court will decide whether Davis enjoys immunity or not. According to General Hameed Gul, former head of the Inter Services Intelligence, the intelligence network being run by the Central Intelligence Agency and other US private agencies in the tribal belts of Pakistan was disturbed by Raymond Davis's arrest that resulted in a halt on the US drone attacks. On January 11, drone attacks were reported that killed 49 people while injuring 10 others. 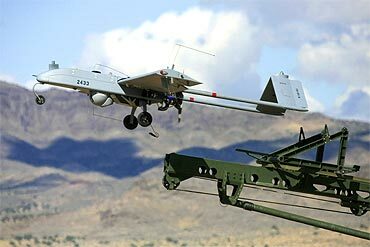 Since it began the practice in 2004, the US has carried out 223 drone attacks in different parts of Pakistani tribal areas that have so far claimed 2,195 lives. The year 2010 was the deadliest in the history of drone strikes, when 118 drone attacks killed almost one thousand people; while the first day of 2011 witnessed a missile strike in Ghundikala village in North Waziristan that resulted in the killings of three others. Karim Khan, a notable tribal elder from North Waziristan, recently approached the American jurist panel contesting the cases of the Guantanamo Bay prisoners, seeking its help in the International Court of Justice against the US drone attacks inside Pakistani tribal areas. Earlier, Karim Khan, responding to the US drone attack over his home, had claimed $500 million as compensation for the loss suffered, in a notice served on US Defense Secretary Robert Gates, the Central Intelligence Agency chief, the CIA's mission head in Islamabad and the US ambassador to Pakistan. Can the Davis case trigger Egypt-like uprising in Pakistan?